Florentine painter Alessandro Gherardini received many commissions to decorate church interiors as well as private villas. 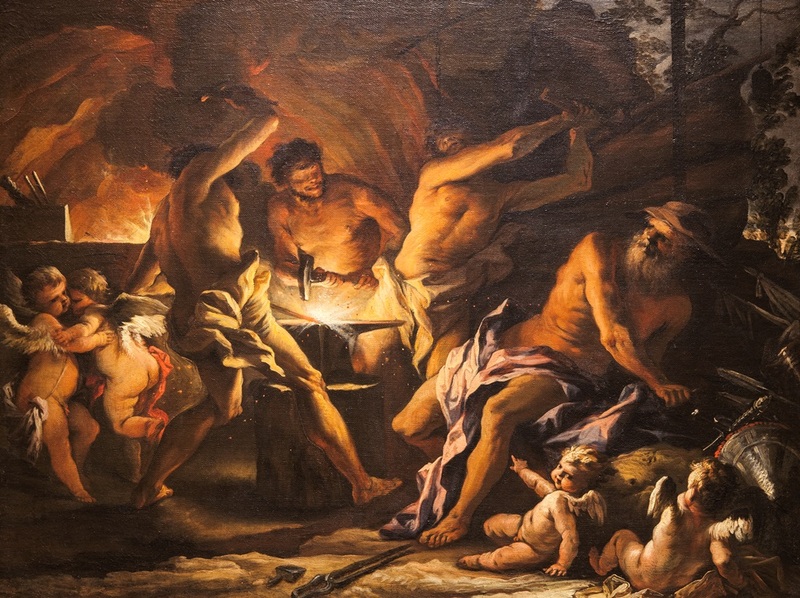 In this painting, he recreated a scene from Virgil’s Aenid. Venus, mother of the hero Aeneas, implored her husband, Vulcan, the god of fire, to make a shield to protect her son. Here, Vulcan’s Cyclopes labor over the molten metal.